This is a nice sized sign for being a neon. This double sided porcelain neon sign measures 48″ across and is navy blue, red, and white. 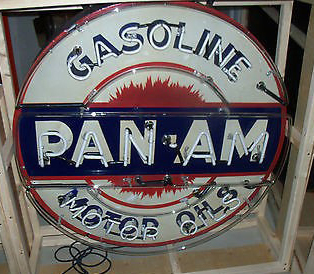 The sign has text that reads “Gasoline Pan-Am Motor Oils” and has a red burst in the center.